“Crazy Rich Asians” is a romantic comedy about Rachel Chu (Constance Wu). Chu is happy to accompany her boyfriend, Nick Young (Henry Goulding) to Singapore for his best friend’s wedding. When she gets to Singapore, she ends up learning that Nick and is family are crazy rich and that he is considered one of the country’s most eligible bachelors. She gets thrown into the spotlight and now has to deal with jealous socialites, quirky relatives, and a mother that doesn’t approve of her. Rachel gets tired of all the attention and goes back to her home. In the end, Nick runs after her, chooses her over his family and riches, and they get engaged. His mother then finally approves of them together. The movie was released in theaters on August 15, 2018. “Crazy Rich Asians” budget was $30 million and directed by Jon M. Chu. 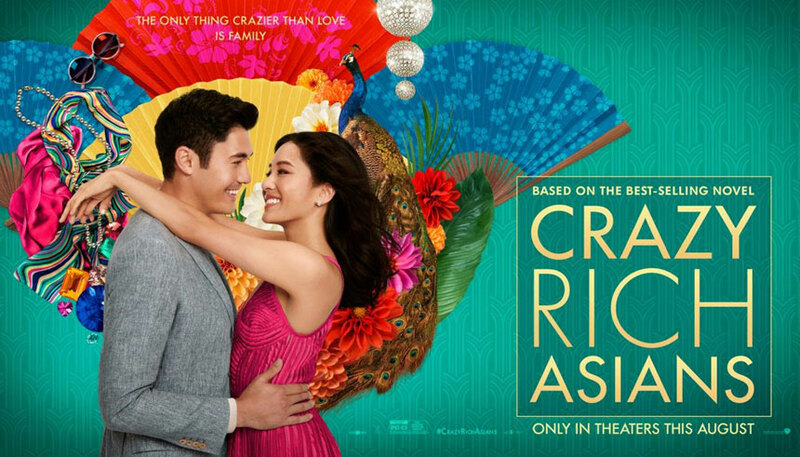 The movie was based off the book with the same title, “Crazy Rich Asians,” released on June 11, 2013 by Kevin Kwan. He’s intention was to introduce a contemporary Asia to North American readers. The novel is based of his childhood in Singapore. The movie has an all Asian cast and it’s the first Asian cast in a long time. Crazy Rich Asians was ranked #1 on opening weekend and it shows what real love looks like. This movie should be recommended to anyone who loves drama and romantic movies. This movie is now the top grossing rom-com in 10 years. I personally thought the movie was beautiful, sweet, and funny. I loved the love you felt in the movie. The all Asian cast was pretty cool, they didn’t have a person of a different race play one of the Asian characters. I found out that the director wanted a white women to play the main character but didn’t follow through with it because he didn’t believe the movie would make money. I believe he made the right choice. Making a white women play an Asian character would just cause arguments. I honestly didn’t hate anything about the movie. Everything was fine to me.